Welcome! My name is Simone. I'm a mom of 2, geek, and sewist with a strong case of wanderlust. I learned the basics of sewing in high school and picked it up again as an adult when I started making costumes for my kids. For years, it never occured to me to delve deeper to sew anything else. I rarely used a pattern, made anything for myself, or sewed anything that wasn't a costume. All that changed at the beginning of 2018 when I decided to stop wishing and start doing. I was going to be proactive and do more of the things I love which is when sewing really became a large part of my life. I ventured into the world of handmade clothing and discovered so many indie designers that I never knew existed. 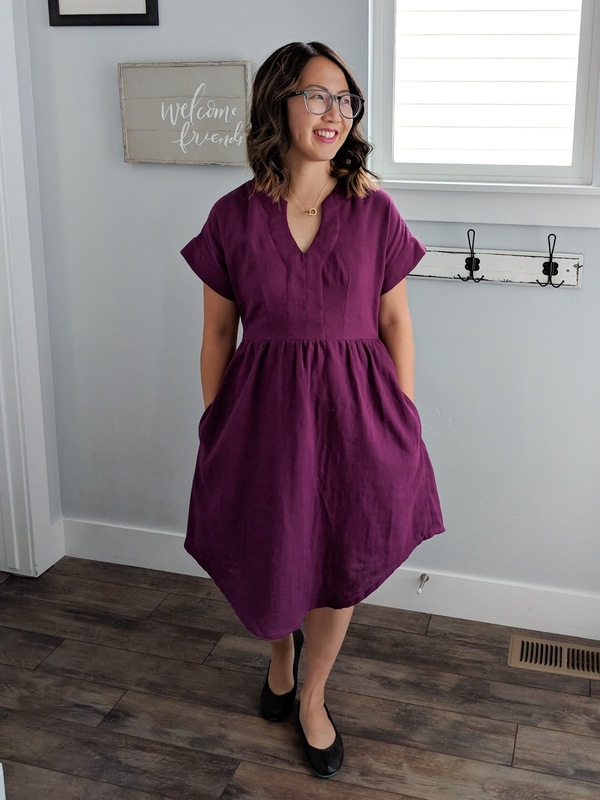 It’s been a really fun year stretching myself as a sewist and seeing my handmade wardrobe grow. After discovering this amazing community, I’ll never be the same! We're a geeky family of four with my husband, Andrew, and our kids, Jadon and Isabelle. Andrew teaches the kids the importance of video gaming while I instill my love of Disney and Comic-Con. We're always up for an adventure and love being able to share that with our kids. 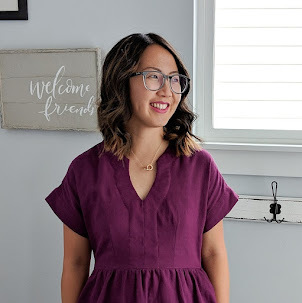 In addition to being a stay-at-home mom, I have delved into different side projects throughout the years, but my current business and the thing that helps me continue to stay at home with my kids is my Perfectly Posh business. I'm a Gold Premier consultant and I love being able to help others find ways to pamper themselves without breaking the bank. It has been one of the best decisions I've ever made and you can learn more about it HERE. I have a love affair with movies and television, I'm obsessed with Comic-Con, and I love to read. My brain is a jumbled mess of everything I love and I jump back and forth all the time. I'm spastic, curious, passionate, and obsessive about almost anything which leads me to the name of my blog. Thank you for coming by and reading all my adventures! Want to work with me? I'd love to hear from you! You can reach me by email at intenselydistracted(at)gmail.com. Hello, was wondering if you would consider selling your noo noo costume that I saw on pinterest? Sorry, it isn't for sale. It's actually very easy to make if you want to give it a go yourself. We were able to put it together pretty quickly. If you have any questions on how to do it, please just let me know. Thanks!